As a new year begins it’s an important time to take stock of ones’ business. Where are you today and where do you want to be 12, 24, 36 months from now? Are you happy with the dollars and cents of your business? Is new business growth satisfying you? Is retention holding steady or improving? Are you getting the support you need, from business planning to web design, to lead generation? Are you able to give your customer choice and close on business more than 50%-75% of the time? Are your net commissions well into the double digits? Are you bonusing? Are you happy about the future of your business or really concerned about it? Most importantly, will you be in the same position 12 months from now pondering the same questions? 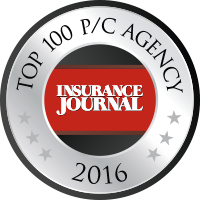 At Premier Group Insurance we are proud to be on pace for a record year. 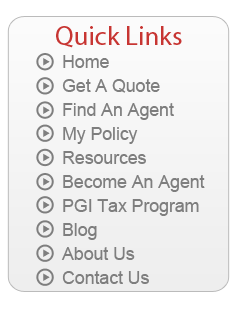 That’s not us boasting; it’s 90 PGI agents happier today than they were 12 months ago. We encourage you to, please, read on, then give us a call. You’ll be glad you did! Would you like to represent many, quality companies instead of just one company with limited products and one price? Then you need to Think Premier First! Before you make one of the most important business decisions of your life, learn about the benefits and programs offered by Premier Group Insurance where you will be in business for yourself, but not by yourself! There is a reason we are one of the fastest growing agencies in Colorado and the west - we offer the most lucrative contract with the highest level of training and support! Don’t turn away customers or lose renewals because you represent only one insurance company. When you join Premier Group Insurance, you can have access to as many as thirty, highly rated and competitive insurance carriers. In addition, we have a fully trained and experienced Commercial Department to assist you with those larger, more complex accounts. Compensation! Don’t be fooled by agencies offering splits based on “street level commissions”. Because of our size, we offer some of the highest commissions in the industry and you will have the potential to earn bonuses and overrides! There is no mandated life or financial services requirements. You set the agenda and goals for your agency while we will provide you with the tools, training and support to be a successful agent. Our knowledgeable team of insurance professionals is here for one reason, to help you succeed! There is truly unlimited income potential for an agent willing to put in the effort. The plan is simple, we provide you access to more carriers with more products, we train and support you throughout your contract and we offer the highest levels of compensation. That means more prices and options for your customers, with more closed sales and higher rewards for you. Our franchise-like “playbook for success” guides you to independence and success without the rules and restrictions of being part of an actual franchise.